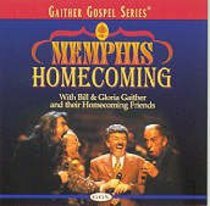 Gaither Homecoming is the name applied to a series of video/dvd, music recordings and concerts, which are organised, promoted and usually presented by Christian music songwriter and impresario Bill Gaither and team. Bill Gaither is the most successful and most honoured artist in the history of Christian music. In more than 30 years as a composer, songwriter, and producer he received three Grammys, 20 Dove Awards, and the first Gold Record ever awarded to an inspirational album. His "Homecoming Concert" music videos/dvds have sold over 7.5 million copies, and the annual concert tour draws more than half a million fans. Gaither was inducted into the Gospel Music Association Hall of Fame in 1982 and was recently honored as Christian Songwriter of the Century by ASCAP. He lives in Alexandria, Indiana.